For your Special Dinner tonight, dine onboard the vessel, savoring a delicious buffet dinner (with salad bar), a choice of complimentary drink and first-class service as you look out across the pristine Arafura Sea. What an amazing first full day in the Top End! Breakfast, Luxury Coach Tour with Hotel Pick Up, Sunset Harbour Cruise, Buffet Dinner, Drinks, Overnight Darwin Accommodation. Breakfast, Luxury Coach Tour with Hotel Pick-Up, Scenic Cruise through Katherine Gorge, Guided Tour, Buffet Lunch, Overnight Darwin Accommodation. Today you will be personally met at your hotel by a DISCOVER AUSTRALIA representative and transferred to Darwin Wharf to begin your cruise. Board the your ship at 08:00AM and depart Darwin at 09:00AM.Cross Cambridge Gulf and join the Expedition Staff for an informative presentation on the Kimberley before meeting your fellow travellers at the Captain’s Welcome Drinks. Breakfast, Lunch, Kimberley Presentation, Dinner, Overnight Main Deck Stateroom Accommodation Aboard Coral Expeditions Vessel. Discover King George River, the first of the Kimberley’s “Big” rivers. Board the specially designed excursion vessel the “Xplorer” to discover the scenic gorges and cruise close to the base of King George Falls. Later explore Tranquil Bay before returning to the vessel. Breakfast, King George Falls Cruise, Lunch, Tranquil Bay, Dinner, Overnight Main Deck Stateroom Accommodation Aboard Coral Expeditions Vessel. Walk across the salt flats of Vanisttart Bay with your Expedition Leader to see the wreckage of the US Air Force DC3 which crash landed here during World War II. Later, visit Jar Island and learn about the mysterious Bradshaw Paintings (Gwion) from your guest lecturers. Breakfast, Vanisttart Bay Tour, Lunch, Jar Island Tour, Dinner, Overnight Main Deck Stateroom Accommodation Aboard Coral Expeditions Vessel. Anchor in Winyalken Bay and travel ashore aboard the Xplorer to discover Hathaway’s Hideaway, a maze of sandstone caves. Take an optional helicopter flight over Mitchell Plateau to take in spectacular views of Mitchell Fall. Later enjoy a gourmet Aussie BBQ on the beach while enjoying a spectacular sunset over the Indian Ocean. Breakfast, Hathaway’s Hideaway, Lunch, Optional Scenic Helicopter Flight, Dinner, Overnight Main Deck Stateroom Accommodation Aboard Coral Expeditions Vessel. Encounter the rock art gallery on Bigge Island with your Guest Lecturers and learn about the art forms and the myths that inspired them. Later, explore Careening Bay with your Lecturer before returning to the vessel. Breakfast, Bigge Island Tour, Lunch, Careening Bay, Dinner, Overnight Main Deck Stateroom Accommodation Aboard Coral Expeditions Vessel. Cruise to King Cascades on the Prince Regent River aboard Xplorer. Later enjoy a picnic lunch at Camp Creek and take a dip in the freshwater pools before returning to the vessel. Breakfast, Prince Regent River Cruise, King Cascades, Picnic Lunch, Diner, Overnight Main Deck Stateroom Accommodation Aboard Coral Expeditions Vessel. Join the Expedition Staff aboard the Xplorer and experience this natural phenomenon up close. Discover the reef’s diverse marine life including turtles, manta rays, reef sharks and dugongs and later, cruise through the gorgeous Doubtful Bay. Breakfast, Xplorer Cruise, Lunch, Doubtful Bay Cruise, Dinner, Overnight Main Deck Stateroom Accommodation Aboard Coral Expeditions Vessel. Cruise through Kuri Bay to the impressive Raft Point and visit a secluded Aboriginal rock art gallery which houses some of the best preserved Wandjina art and Bradshaw Paintings. Later explore Red Cone Creek and maybe take a swim at Ruby Falls. Breakfast, Aboriginal Rock Art Gallery, Lunch, Dinner, Overnight Main Deck Stateroom Accommodation Aboard Coral Expeditions Vessel. Cruise through the Buccaneer Archipelago to Horizontal Falls, one of the greatest natural wonders in the world. Take a ride aboard the zodiacs through the mighty falls and later explore Silica Beach on Hidden Island and its stunning white sand beaches and crystal blue water. Breakfast, Buccaneer Archipelago Cruise, Horizontal Falls, Lunch, Dinner, Overnight Main Deck Stateroom Accommodation Aboard Coral Expeditions Vessel. 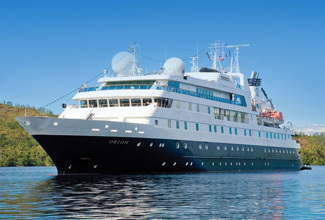 Cruise through Pender Bay and subject to tides visit the Lacepede Islands, one of the most important breeding grounds for Brown Boobies, Roseate Terns and Green Turtles. This evening reflect upon your expedition with your fellow travellers at the Captain’s Farewell Drinks. Breakfast, Lacepede Islands Cruise, Lunch, Captain’s Farewell Dinner, Overnight Main Deck Stateroom Accommodation aboard the Coral Discoverer. Disembark in Broome at 08:00AM and spend the day exploring Broome township. Breakfast, Port Transfer, Overnight Broome Accommodation. 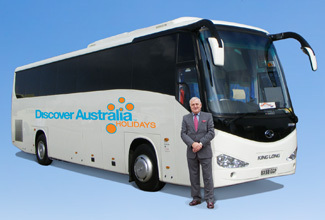 Broome Luxury Coach Tour with Hotel Pick up, Pearling Masters High Tea, Overnight Accommodation. Willie Creek Pearl Farm Luxury Coach Tour with Hotel Pick Up, Refreshments, Overnight Broome Accommodation. Luxury 4WD Tour with Hotel Pick-Up, Overnight Broome Accommodation. You have 3 choices of accommodation in Darwin & Broome. Our "Good Standard" central Darwin & Broome hotels have great facilities, a comfortable room and friendly service (typically 3.5 stars). Alternatively, why not treat yourself? The "Deluxe" hotels have superior facilities, stylish rooms and first class service (typically 4 stars). The “Luxury” hotels are upscale with a more luxurious feel for the discerning traveller and great for celebrating an anniversary (typically 5 stars). You will be personally met DISCOVER AUSTRALIA representative and transferred from the airport to your hotel in Darwin and from your hotel to Darwin Wharf for your cruise to Broome. You will also be transferred on arrival in Broome from the port to your Broome hotel and from your hotel to Broome airport for your flight home. You’ll receive the FREE DISCOVER AUSTRALIA Bonus Voucher Book that includes $500 value of discounts and bonuses throughout Darwin, the NT, Perth and WA at shops, restaurants attractions, wineries etc. 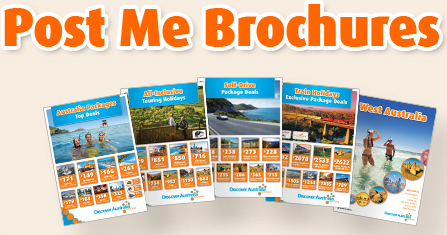 It’s a great way to save even more on your Northern Territory and Western Australia holiday. The Kimberley Coast Explorer Cruise with Darwin & Broome All-Inclusive Touring is very popular. Many dates book out well in advance, please book soon.